Thanks! Great open source software. I will also test the CI integration and OTA for ESP8266 devices. Yes. 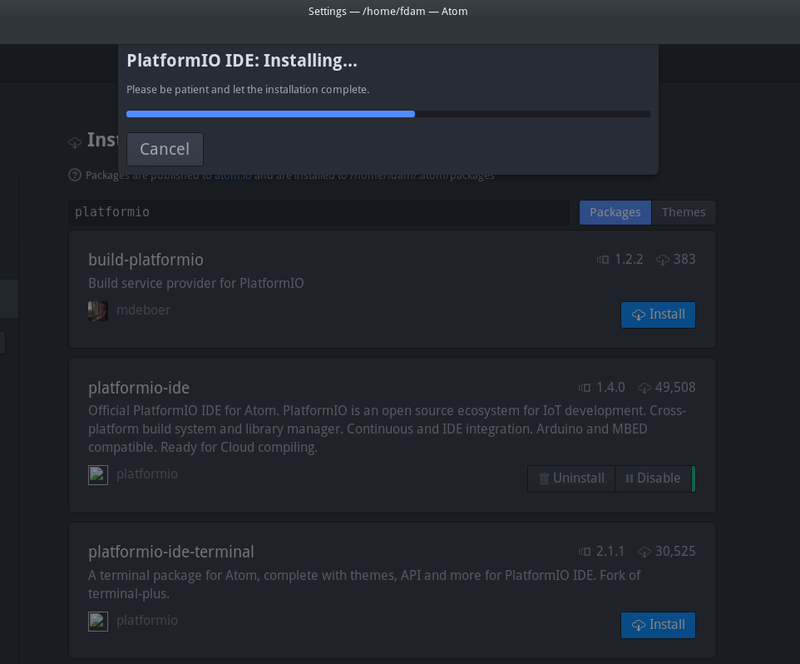 I just left the post to document the issue and to let people know that the solution is to install atom-editor-bin from aur.